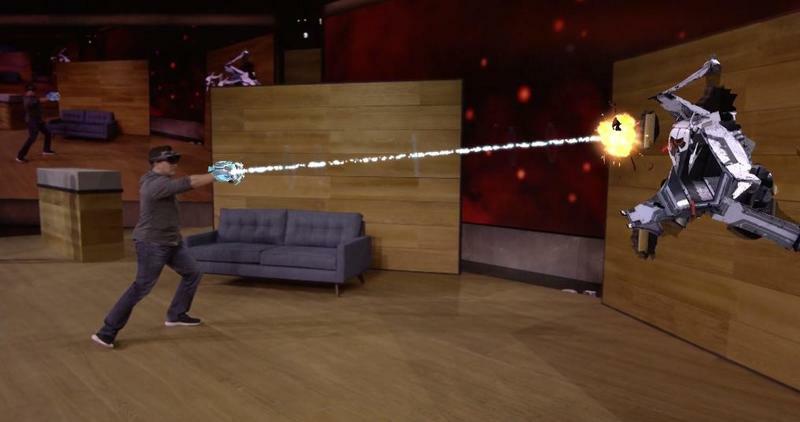 I still remember the moment when Microsoft first announced HoloLens. 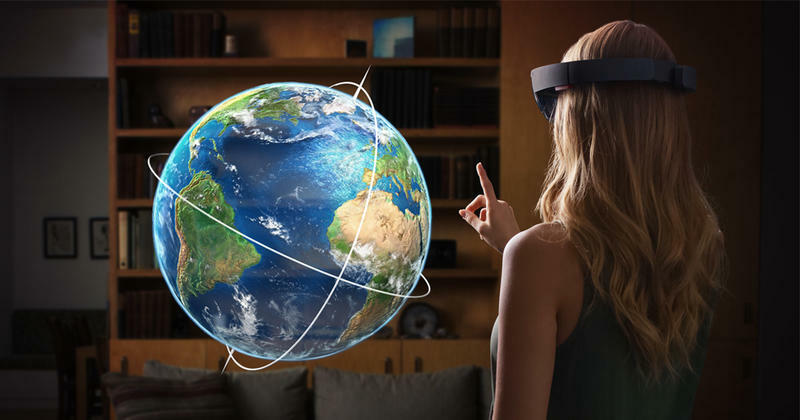 At a Windows 10 event in early 2015, the company revealed its “One more thing,” a secret holographic headset that could bring virtual reality into the real world. I leaned in for a closer look at the livestream playing on my laptop. My eyes widened and my jaw dropped. Exactly a year later, just last week, I finally had the opportunity to try HoloLens for myself, and I’m here to report back on my experience. Microsoft wouldn’t let me take any photos or video, a rule the company has held since the product was introduced, so I figured I’d at least jot down my thoughts. 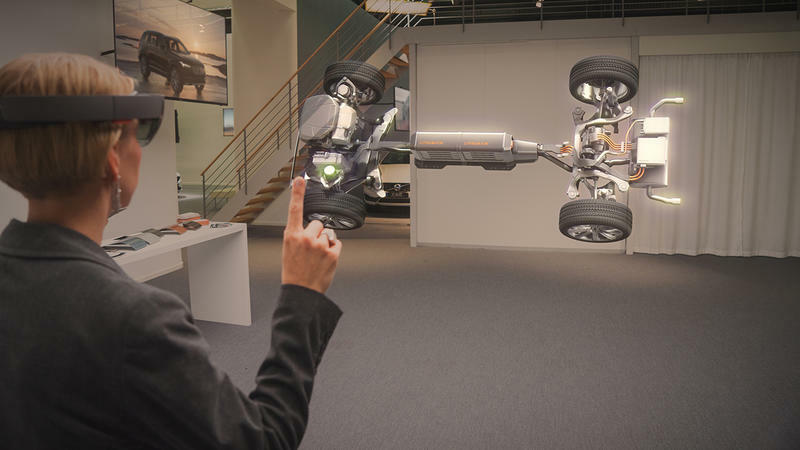 In short, HoloLens is amazing; it’s everything I expected and more. But it’s also clear that Microsoft still doesn’t know exactly what to do with the technology it created. The possibilities may be endless, but it’s up to other companies and developers to figure out what we should actually do with it. When you first try on HoloLens, the experience can actually be a little underwhelming, though that feeling doesn’t last very long. Instead of immersing you in another world like Oculus Rift or HTC Vive, Microsoft’s headset simply drops a transparent display right into the center of your vision. You can easily see where the image ends, and holographic images simply cut out as soon as they drift beyond those borders. I started to understand the rules after a few minutes. I figured out where to point my head for the best possible view and let my imagination fill in the rest, knowing it would still be there if I looked for it. 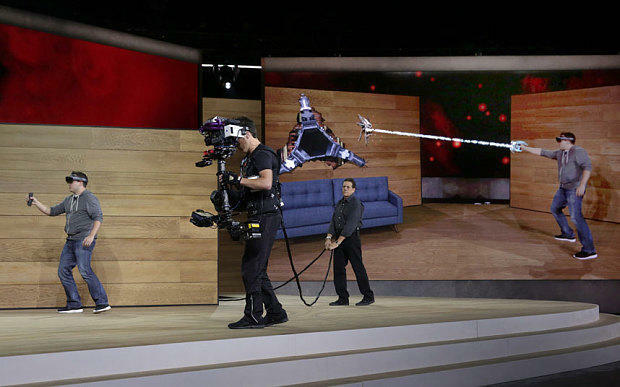 Microsoft had three demos to show off: a video game, an app for designing 3D objects and a marketing presentation. 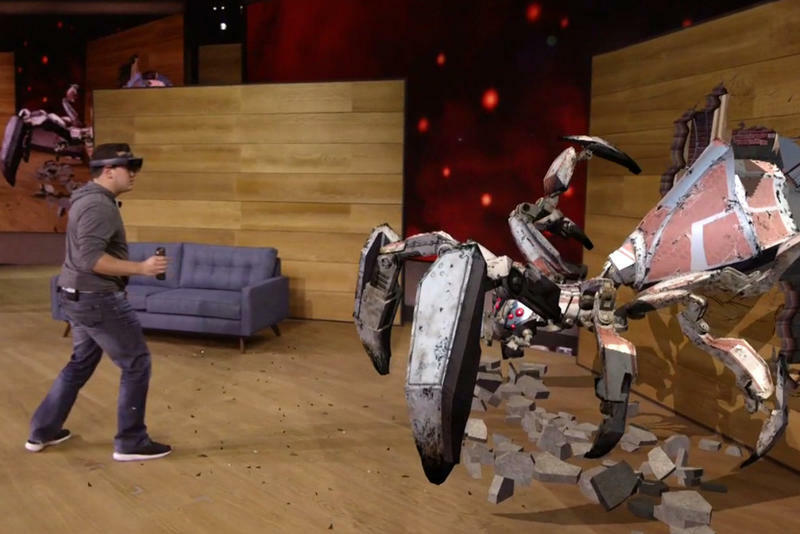 All three were developed in-house to show what HoloLens is capable of, and each had its redeeming qualities. We started with Project X-Ray, a short game that has you fighting off a robotic invasion. With HoloLens on my head and an Xbox controller in my hands, I took aim at a horde of crawling and flying enemies as they tunneled through the walls of the actual room. The robots shot back, firing slow-moving laser blasts I could easily dodge. A final boss battle even had me kneeling to the ground to avoid a nasty laser beam as it swept the room. X-Ray has me really excited about HoloLens’ potential when it comes to gaming, but it also reveals some of the device’s limitations. The headset’s narrow field of vision made it difficult to track multiple enemies as they scurried around the small room, though the game did compensate with impressive 3D audio and a small orange arrow to help guide me in the right direction. A larger display definitely wouldn’t hurt, though, especially if Microsoft expects major video game studios to get onboard. Next up was a storytelling demo, which actually turned out to be a marketing tutorial. 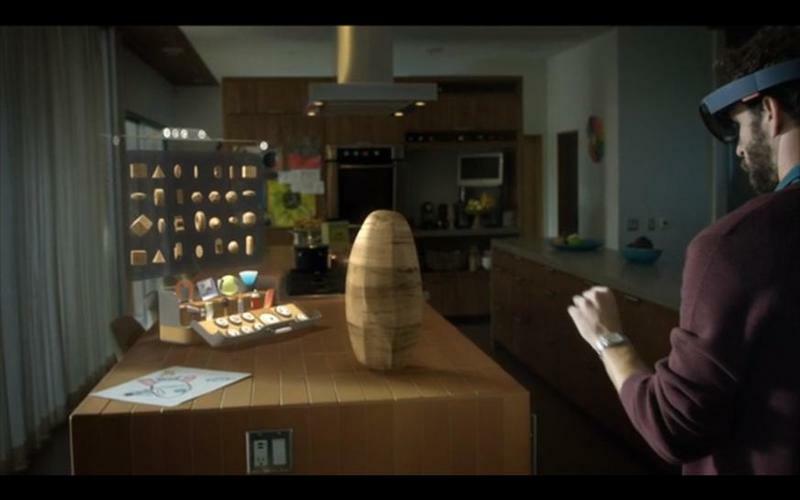 I braced myself for boredom, but it turns out that even ads are interesting when viewed through HoloLens. I put on the headset and stared at a bare table. All of a sudden a circle of light rose up from below, ultimately transforming into a fancy wristwatch. Then the watch expanded to show each individual part. Staring at a specific component could bring up extra information, and behind the scenes HoloLens was gathering data on where people looked the most. Microsoft calls that “gaze data,” and it’s one of the most interesting and overlooked HoloLens features. 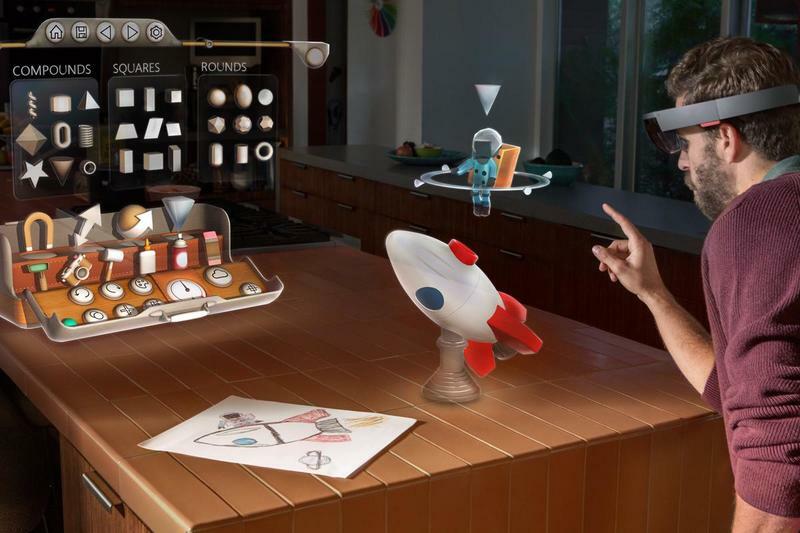 In a HoloLens-equipped classroom, for example, teachers could use that information to make sure students are paying attention. So if you’re studying human anatomy, it’s easy to tell who can’t find the liver or the heart without having to quiz each student individually. Of course, the marketing potential is even greater. Brands will want to know where you look at all times and which types of ads hold your gaze the longest. 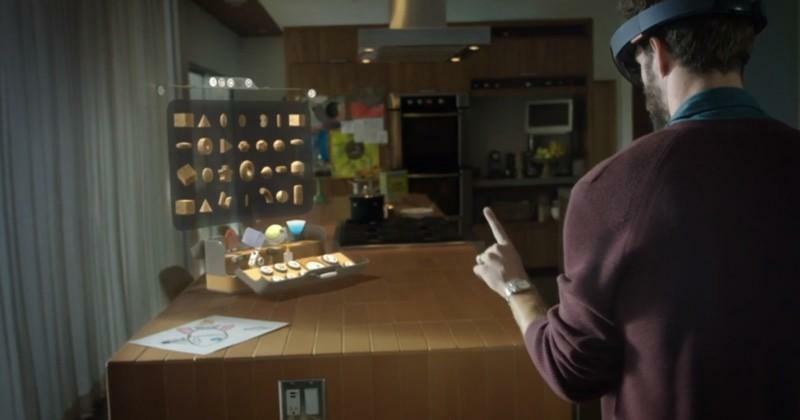 With HoloLens, Microsoft is poised to hand them that data on a silver platter. Finally, Microsoft showed me HoloStudio, which lets you design 3D objects to print or share online. It’s a lot of fun to play with different creation tools, but the demo also revealed plenty of limitations. After picking a 3D model of an X-wing Starfighter, I wanted to reach out and grab it with my hands, but instead all I had was my voice, gaze and limited hand controls. That brings up another point: controlling the HoloLens can feel more like using a regular computer than exploring the Holodeck. I understand why Microsoft took that traditional approach. It makes the entire experience a lot more intuitive, and it should also make the process of porting Windows apps onto the new platform a lot easier. Still, I wish the company was just a little more experimental with its user interface. Hopefully some bold independent developer will be the one push those boundaries. After a half hour, the experience was over. I took the headset off and stood there, hair fuzzy, convinced that the technology works. Microsoft is on the right track to introducing a brand new way to interact not only with computers, but the world. The living rooms, offices and classrooms we sit in daily. 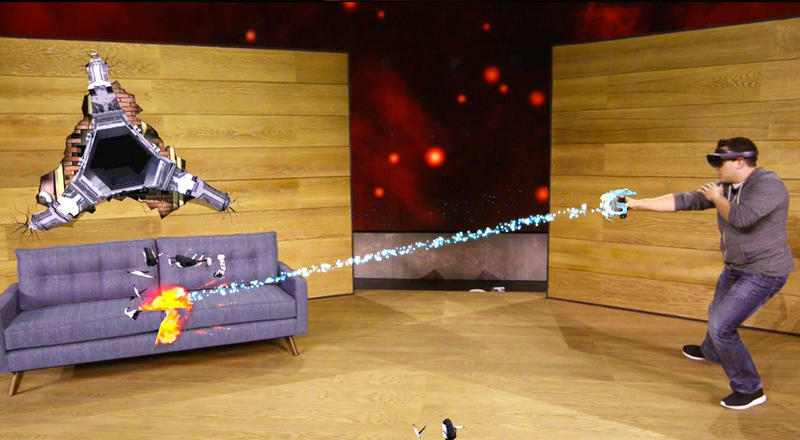 While Oculus and Vive might try to transport us to fictional universes, Microsoft rightly understands that there’s a very real use for a new way to interact with the world that we can still see. My mind is still racing with different possibilities, and I can’t wait to use it again.